Lime -- calcium oxide or calcium hydroxide -- comes in two manufactured forms: quicklime and hydrated lime; the latter will keep unwanted ants from invading your home or garden. 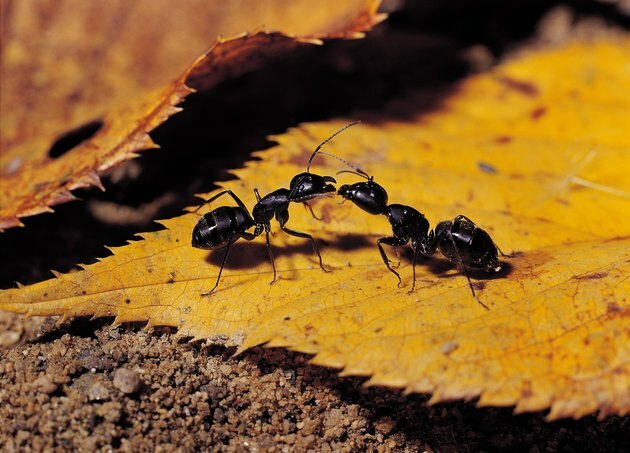 Hydrated lime comes in a dry powder form and is normally used in building and engineering materials, but its chemical properties and scent also make it an effective tool for driving away small pests, like ants. There's more than one way to use hydrated lime to deal with ant populations. 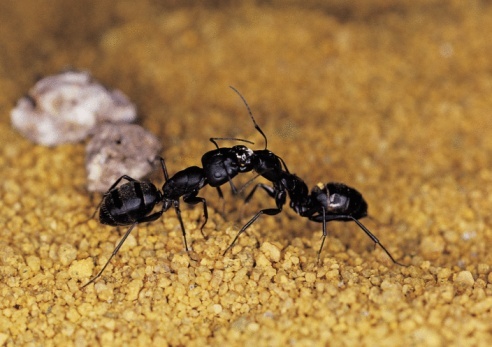 Hydrated lime creates an invisible barrier to ants. Mix hydrated lime with copper sulfate and water -- called a Bordeaux mixture -- and sprinkle the mixture in areas where you don't want ants. However, avoid putting the mixture in areas where pets or people commonly tread, as copper sulfate is an irritant. Use a ratio of one part copper sulfate, one part hydrated lime and 100 parts water. For example, if you want about a gallon of the mixture, you would mix 1.28 ounces of hydrated lime and 1.28 ounces of copper sulfate with 1 gallon of water, since a gallon has 128 ounces. Sprinkle a half cup of hydrated lime per square yard of lawn if the ant infestation is coming from your yard. Repeat every four weeks until the ant problem is gone. Use the hydrated lime to make a barrier to keep ants out of certain areas. Apply it near openings where you see ants emerging.